This Exhibition will continue and change from time to time. 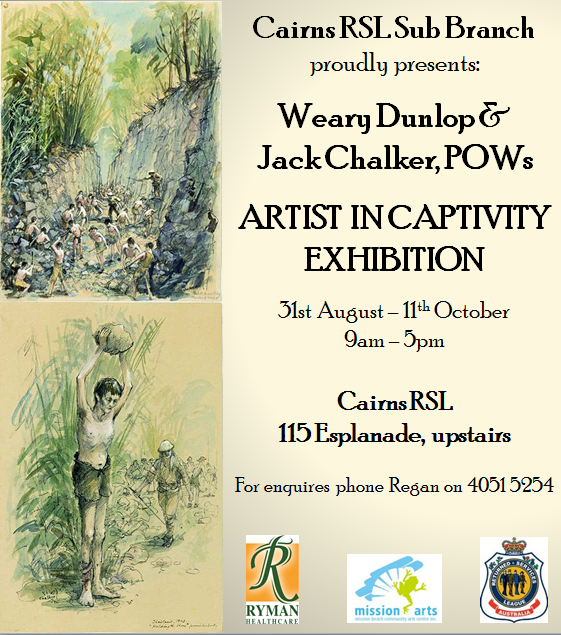 Dear readers and viewers please visit the Cairns RSL Sub-Branch on the esplanade it is great, the gallery is up stairs directly adjacent to the entrance. There is more to come over the in the future.